Las Brisas Huatulco is a luxury 5* family friendly beachfront resort located in Huatulco, Mexico. It features 494 rooms and swimming pools. All inclusive meal plans are available! 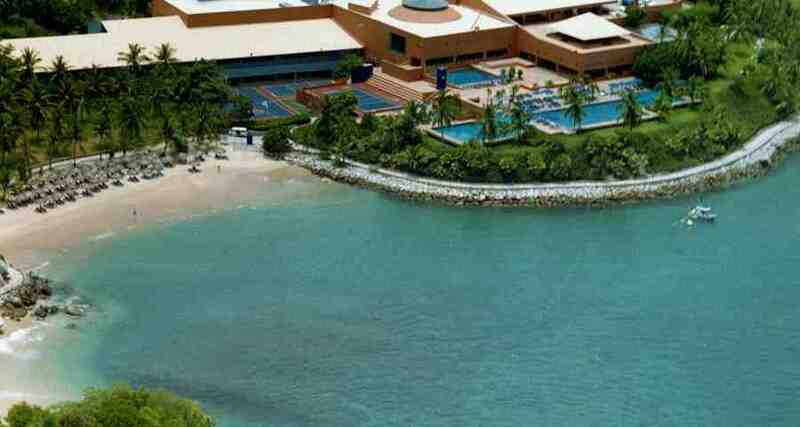 Las Brisas Huatulco is located by the Bahia de Tangolunda (Tangolunda Bay) in the incredible destination of Huatulco. It is comprised of minimalist style accommodations and has four beaches as well as a coral reef that is perfect for scuba diving or snorkeling. Delight your senses with a stay at Las Brisas Huatulco while you enjoy great features, including the massage services offered by the hotel. Guests can also enjoy a range of recreational activities like volleyball, squash, tennis and soccer. If you choose the All Inclusive plan you can enjoy a variety of international dishes in the onsite restaurants. Brisas Hotels and Resorts offer the "In The Pink" Hurricane Guarantee aimed at reducing the stress and anxiety level associated with traveling during the Hurricane Season by eliminating the risk and guaranteeing that your vacation will not result in an out of pocket loss due to the unforeseen cancellation of your trip due to a hurricane. This offer is subject to change and can be withdrawn at any time without notice. Because of the size and the way the resort is constructed, people with mobility issues may have difficulties.